IRON MOUNTAIN — Joanne Marie (Verrette) Backhaus, 71, born Oct. 22, 1946, in Iron Mountain, was born into eternal life after a short battle with Bile Duct Cancer. She passed peacefully with her husband of 42 years, William W. Backhaus by her side. They were longtime residents of Genesee Depot, Wis.
She will be dearly missed by her beloved children and stepdaughter: Toni (Steve) Mackay of Waukesha, Wis., Michael (Krista) of Merton, Wis., James (Megan) of Big Bend, Wis., and Christine (Matthew Compton) Mackay of Sheboygan, Wis.
She was preceded in death by her brother, Michael Verrette; and her parents, Edward and Mary (Kennedy) Verrette. 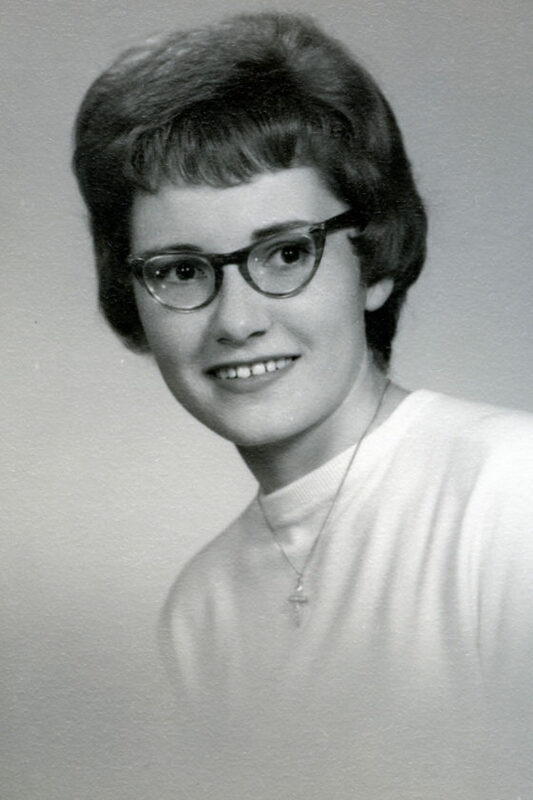 Joanne is survived by her four siblings: Patrick (Deana) Verrette of Iron Mountain, Don Verrette of McHenry, Ill., Mary (Doug) Sleik of Wallace, Wis., and Terese (Thomas) Jahnke of McHenry. Further survived by her five biological grandchildren: Thomas (Mackay), Tyler, Alex, Ethan and Emma; nine step-grandchildren; and seven step-great-grandchildren. Joanne was always a caretaker for others. She spent her younger years taking care of her siblings and eventually her children and grandchildren. She would go out of her way to make sure that everyone was cared for, even if she had to drive hours to pick them up or offer them a place to stay. She worked at her children’s school in the lunchroom and health room. She often cared for the neighborhood children by participating in Girl Scouts, Boy Scouts, and taking field trips around the country. Joanne always had a love for crafting, often crocheting blankets and knitting hats and scarfs. In her earlier years she worked as a seamstress. She was proud of her small AVON business. She also shared the love for motorcycling with her husband. She rode on the back of “Piggy” throughout Wisconsin, Illinois and Upper Michigan. Throughout her life Joanne loved her flowers, she took pride in her flower beds around her Genesee home. As a child, she was lovingly referred to as “DoDo Bird” by her siblings. DoDo Bird earned her wings in time for her big ride for Harley Davidson’s 115th Anniversary. Catholic service will be at 11:30 a.m. Wednesday, Sept. 5 at St. Paul Catholic Parish in Genesee Depot. There will be a memorial for family and friends two hours prior to the service. The committal will be held at St. Joseph Cemetery in Waukesha following the service. The family would like to thank AngelsGrace Hospice, Waukesha Memorial ICU and GI Staff for the support, guidance and loving care provided to Joanne in her final days. The family asks that in lieu of flowers, donations to AngelsGrace be given in Joanne’s memory at St. Paul Church, or by mail: ProHealth Care Foundation, 725 American Ave. Waukesha, WI 53188.